Jackie Reynolds is a happily married mother of three, with a degree in chemical engineering. Since having her first child with her husband, a computer engineer, she left her job to focus on her children. With this time, she developed her own profession. Recently, Jackie found herself in a nursing home in Albany, dressed up as her clown persona, BeeBee the Clown. She told jokes and pulled gags, the kind that were light enough for her audience, but enough to get them to participate. Jackie is a professional clown, a magician and a children’s author, but she insists that she is mostly a clown. Jackie taught herself how to be a clown 25 years ago, and since then has been improving her art. 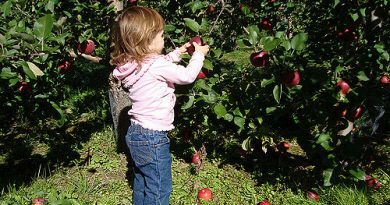 Now, her summer is booked from beginning to end with performances across New York State, in nursing homes and elementary schools alike. She reads the list of her performances aloud with excitement. To an outsider of the clowning world, this may be surprising. Outwardly, the world of clowning seems to be on a downswing. Ringling Brothers and Barnum & Bailey circus are folding up their big tent, ending one of the last bastions of clowning in America. And as clowns institutions shut down, pop culture is constantly framing them in a negative light as well. Icons such as Stephen King’s “It” and the “scary clown” phenomena in 2016 have likened clowns to fear, the opposite of what any clown wants to be known for. The closure of the circus has come as a shock to the clowning community. The Ringling name itself is seen as a titan, at the top of the clowning food chain. However, the darker sides of the circus put out its own bright lights as stories of animal abuse began to come to light. Inside the clowning world is a different story. Entering into the world of clowns and clowning means allowing for openness, and having a principal of fun first, everything else second. Clowns love what they do, and they love when people enjoy it. In the world of clowns, everything is just as it was in the ’70s, ’80s and ’90s, the circus’ hayday, only with the minor hiccup of terrifying impersonators. Standard tools of measurement are ineffective when trying to look into the profession of clowns. The profession itself is old, and even through the modernization of the world, it has managed to be untraceable. It’s nearly impossible to know how many clowns there are on a large scale at a time, and the further gone into the past, the harder it is to find this information. Clowning is much like a background, always present but never in focus. Wayne Baker on the other hand, gives a definitive answer. Wayne Baker is the owner of Frank Bee’s Costumes, a costume and party equipment shop in the Bronx, located off of the Throgs Neck Expressway. Baker’s office is upstairs in the main Frank Bee’s shop, an old storefront that wears its age like a badge. Inside, the office is filled with work and memories, as papers clutter the desks of Wayne and his partner, who wished to remain anonymous, and photos line every inch of wall. The photos ranged in variety, from being of Wayne with nearly a dozen different celebrities, to signed photos of both President Obama and President Trump hanging behind Wayne’s desk, to simple family events. 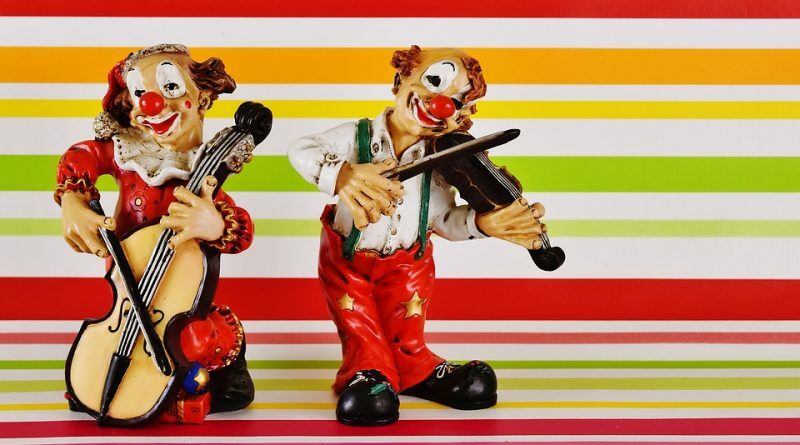 According to Baker, the clowning profession is what helped this business stay afloat. Baker’s business expands well beyond costumes and carnivals. Through the years, Baker himself went to a clown alley and learned the tools of the trade there. He claims it’s where he found his three basics of clowning. Through this training, he learned the value of clown work and ingrained himself into it. Baker began supplying clowns with their costumes and supplies, first by going to the clown alleys that he had visited before, and then as a retailer. Clown alleys are essentially clubhouses for clowns, places where they can meet and learn. Alleys appear in nearly every city across America, and in any town that the circus brushed through and left some of itself. Their purpose is to continue the tradition of the American clown, holding workshops taught by older clowns for the newer generations, and acting as a center for all of a clown’s needs, beyond costumes and red noses. As the years passed Baker began to act as a kind of agent for clowns he met in the alleys, booking them different shows and gigs at parties. He ended up starting a clown school in the building next to Frank Bee’s main store in 2006. A rudimentary Google search of “Clown Schools In New York” turns up only one page of results before descending into articles surrounding the “scary clown” epidemic of 2016. Prominently displayed as a top result is the NYC Clown Studio. Walking into the store’s workshop, the business side of the clowning industry is brought to light. Costumes of every popular character from television over the past decade are strung on the high walls of the workshop, while immediately to the right of the entrance, pre-packaged children’s costumes hang, seemingly untouched since October, and most likely to remain that way. Giving a lesson inside is Milt Sheppard. His student body consists of a single woman. Milt’s lesson plan consists of teaching self-confidence, and what he calls his three tenants of clowning; balloon twisting, face painting and magic. The woman he is teaching is petite and shy. It is unclear if she understands what she has gotten herself into as Milt instructs her to introduce herself in the grandiose way of the circus. Milt is first and foremost a party clown. His career started during the summer of 1992, when Milt started dressing up as Batman for kids parties. He found some success, but soon learned that party-goers, and the parents that paid him to perform, wanted more. A by-product of the internet and the different forms of entertainment that people were exposed to due to it, as Milt described it. Wayne and Milt opened their clown school out of necessity. While their school is small, Wayne and Milt are continuing a clowning tradition that started under the big top, in the minds of the owners of the Ringling Bros. circus. That response was something that most clowns have experienced. For them, the job comes with the full benefits of being scrutinized for their career. Now, being a clown also includes an air of uncertainty. With the impending final show of the circus, not only is America losing an icon of its entertainment industry, but the clowning profession is losing one of its last remaining bastions. However, the beginning of this uncertainty surrounding the clowning profession started long before the “Greatest Show on Earth” decided to fold up the tent. It began with the closure of the Ringling Bros. Clown College. Founded in 1968 by Ringling Bros. Frontman, Bill Balentine, the Ringling Brothers Clown College was founded out of necessity, similar to its modern successor in the Bronx. At the time, many of the clowns employed with the circus were getting too old to perform or were retiring, and with no alternative source of clowns, the circus began sending out ads for their college, much like the one my Dad saw. For him and the hundreds of others that attended the clown college, it meant much more than a potential trip to the big top. “I had just finished my second year of college, and I was bored. I didn’t really like the other kids with me in the theater department, and I wanted to travel,” Robert said. 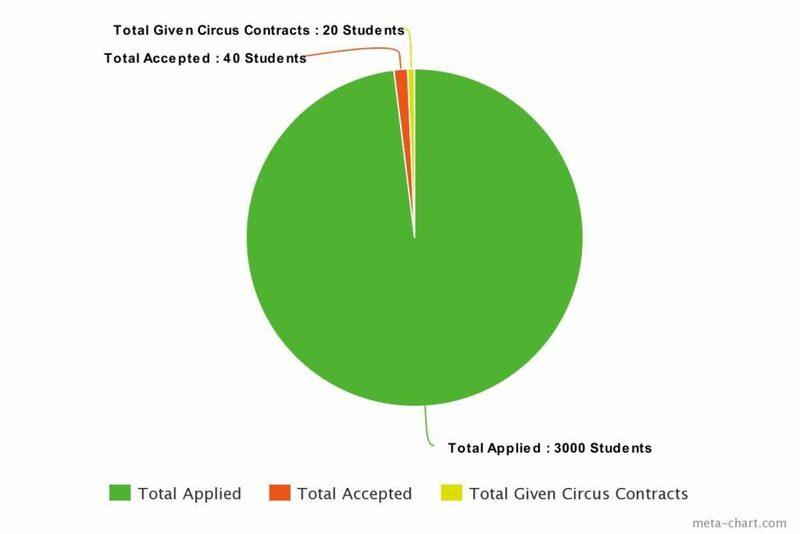 The audition process for the Ringling Bros. Clown College was comparable to the audition process for most theater schools. A performance was necessary. To even get a chance to be a clown with the circus, pie-throwing and squirting flowers wouldn’t be enough. Kenny was in the circus for four years, a trip that took him across America, from Florida to Washington State. His wife, Lynn Colombo, met him during his second, and the two married in his third. Now, the two live in Bogota, New Jersey, in what is at first an unassuming home. Inside, their house remains typical, like that of a working class American family. Pictures of relatives dot the walls, and a mounted glass case containing small porcelain figurines is proudly hung. However, up the stairs in what the couple call their “clown alley”, their colorful past with the circus shone. 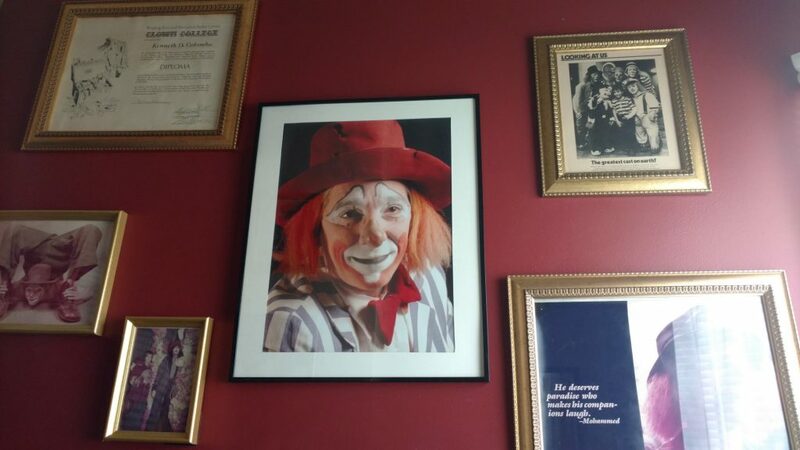 The walls are covered by framed photos of the couple at different moments during their clowning career. In the middle of four smaller photos is an enormous framed photo of Kenny dressed as the Great Gumbini, his clown persona. Mounted on the wall across from this is another large photo, this time of the entirety of the Ringling Bros. Circus, presented against a bright yellow background. Small, equally brightly colored smiling faces formed a swathe across the frame, with an elephant rearing up on its hind legs on the left side. In this small clown alley, there was no doubt that the profession was still alive. Kenny described his time in the college as being where he blossomed. It was there that he and other clowns discovered a passion that would change their lives. The Ringling Bros. Clown College was unlike any other college that existed at the time, and might still be unique to this day. Located in Sarasota, Florida, students attended classes at the Sarasota stadium, built specifically for the circus. Students attended classes on all things clown, from face painting to acrobatics and unicycling. Some classes were more unique, prompting students to watch and study movies from the likes of Charlie Chaplin and the Three Stooges, as well as classic cartoons such as Wile. E. Coyote and Bugs Bunny. Unlike today’s college students, members of the Ringling Bros. Clown College had no tuition. They were expected to pay for their own room and board however. This pay went towards living in the circus-sponsored motel next to the stadium. There, students lived with a housemate and were fully independent. 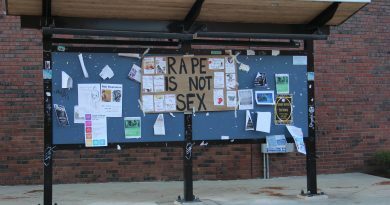 Rooms would even be randomly inspected by teachers at the college, akin to the room inspections that current college students in dorms receive. In reality, the Ringling Bros. Clown College was more of a long term audition for the circus. Instructors observed each student individually, trying to find who had the most potential for the big top. Room inspections were a test of their own, as even the best potential clown could also be a potential mess to live with, making them unfit to travel with on the circus train. 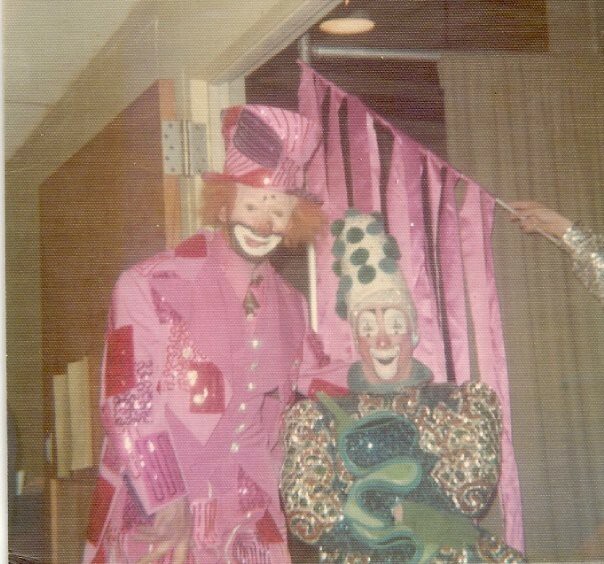 For clowns like Kenny and my Dad, the Clown College’s lessons had a lasting impact. After their two-month-long session, students then attended their graduation, which consisted of an enormous performance. The prospective clowns would don their makeup and big shoes to perform their best for the chance to be given a contract to work in the Ringling Bros. Circus. Only half of the 40 students that attended the same year as my father were given contracts. The clown college used to be the standard for becoming a clown, when the circus industry was still very much alive and well. Now, looking for an alternative to learn the skills necessary to entertain and be a clown is difficult, yet similarly rewarding. What Baker offers to clowns now is not too far off from what was offered to them by the Ringling Bros. Clown College. What does differ is the clowning experience that graduates from each school received with their career. For graduates of Baker’s school, it meant a consistent job in clowning, working at different parties and painting faces along the way. Graduates from the Clown College were separated in their experiences. Some, like my Dad and Kenny, would be offered circus contracts after graduation, putting them on tour with the Ringling Brothers & Barnum and Bailey Circus for a full year. For the remainder, jobs in clown alleys were always open, along with work as a party clown. Today, work as a clown is more spread out in a sense. Schools like Baker’s teach their students to be party clowns, entertainers for small parties and shows alike. They are masters of face painting and balloon tricks. Without any big tent to band under, these clowns are usually independent, and develop their own clowning style, tailored in any way they see fit. The Clown College gave students an intense education into circus performing, a very specific line of work. They knew how to fit 20 people into a car only meant to seat 5, how to unicycle and stilt-walk. These clowns were destined for the big top. Kenny Colombo took his act on the road with the circus straight out of graduation, like many others. While on tour with the circus, clowns didn’t have many options to travel. Shows were set in different major cities across America each week, and a clown in the circus had to get there one way or another. Most clowns took the easiest route, the train with the circus. Kenny remembers joking about the cells of Alcatraz during a tour there between shows. They joked that the cells, infamous for being so small that they were unfit for a human to live in, were twice as big as some of their train cars. Back then, the nomadic clown lifestyle was part of the job, but this journey led many clowns to revelations about their career and what it meant to be a clown. When my Dad turned 21, he was traveling with the circus. “It was a confusing part of my life,” he said. With the guidance of the circus, my Dad and Kenny developed their clown personas, a process that takes months to develop and complete. For a clown, their persona is more than simply the makeup and funny outfit they wear. The clown persona is a clown’s interpretation of themselves. When they go on in front of a crowd, they exaggerate the emotions that they feel make them up. In a way, they try and be the most like themselves that they can. That is what a clown’s persona is. This belief is a constant in clowns, found in party clowns like Milt Sheppard to retired professional clowns such as Kenny Colombo, and even to modern day clowns like Jackie Reynolds. 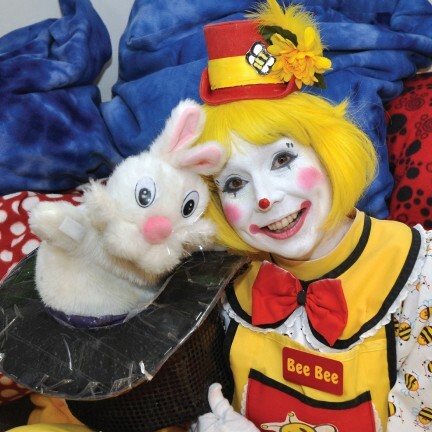 In one of her last visits to a nursing home, performing as BeeBee the clown, Jackie met a woman who had just lost her daughter. Jackie’s values as a clown are something she holds close. They are part of the reason that she continues to work as a clown, because the work that she gets to do makes the people around her happy. However, these values end up undermined by the multiple stereotypes that the clowning profession receives. The “scary clown” epidemic of 2016 and even more contemporary portrayals of clowns purport societal stereotypes about them. Clowns become misconstrued as images of terror, or more frequently, monsters. Julie Varholdt, who has worked as the Vice President of Clowns of America International for seven years and has been a clown for 25, says that these portrayals are more than just fun and games. At the same time, Julie is confident that these misrepresentations don’t stop people from pursuing the clowning profession. She cannot say whether or not this is the most members that COAI has ever had, as the organization itself has not kept track of membership, which costs $20.00 to $40.00 a year. Julie pays $40.00 a year herself. Even Kenny Colombo, who now works in the maintenance department of one of his local schools believes that the profession of clowning isn’t going anywhere yet. What is certain about the clowning profession is that it has changed. The big circuses have folded up their tents, and clowning itself is changing from being a grandiose spectacle performance to twisting balloons and doing magic at parties for children and the elderly alike. What hasn’t changed is the message, the “why” of clowning.